Vancouver is the third largest city in Canada. From years ago it has had the line world rankings and since being the host of the Winter Olympics in 2010 it has become among the top places of the cities which offer the best living conditions. Adding to that is the incredible scenery around Vancouver, which is a combination of mountains and sea. It really is no wonder that most residents are on the west coast of the country, it is preferred by most immigrants who decide to opt for a North American country home. Vancouver is located in the southwestern part of the Canadian province of British Columbia. The population of the city is around 611, 000 people and with those living in more than 20 suburbs, forming a large metropolitan - Metro Vancouver, the number of people become over 2000 0000 people. 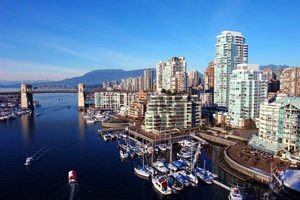 Vancouver is named after the British sea captain - George Vancouver, who had studied the area. Nearby the town is the self-titled Island, which is why often people think that Vancouver is located on the island. The third largest Canadian city is exactly the place where the Fraser River empties into the Pacific Ocean. 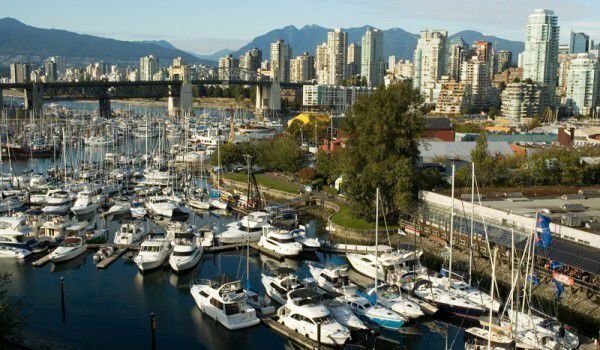 Vancouver touches several countries with its waters - the Pacific Ocean reaches to the west, the river Fraser and the American city of Seattle, to the south and north of the city reaches the Mauntins Coast. To the east it spreads to the Fraser Valley. Although a relatively young city of about 100 years it became populated in the ancient times around 6000 years ago. The first European explorer-adventurer, who stepped up on their shores is precisely Explorer George Vancouver. Europeans began settling in 1862 after they discovered coal deposits of the local port - coal port. Vancouver is located 15 km northwest of the title International Airport. Today it is considered the fastest growing Canadian metropolis. Exotic cultures are interwoven with cosmopolitan theaters and many fine and not so restaurants. Vancouver has the second largest China Town in North America after the one in San Francisco. Chinatown here offers everything that Asian culture can bring you - multiple markets with exotic spices and products, exotic Chinese restaurants, red roofs of buildings and of course, a lot of places where eastern medicine is practiced. The central cultural center of Vancouver is Granville Island. Here are most of the theaters, cinemas, various studios and galleries, and much of the first class facilities. Also here is a so-called - Public Market, where you can find everything. Once this area was a powerful industrial zone, but today it is the loud and popular place for entertainment and nightlife. If you like shopping out of fashion boutiques, be sure to walk down Robstan Street. If you want to see historical monuments and buildings you should see Gastown which is located near the port. Gastown has a lot of Victorian style buildings and small streets with antique shops and art galleries. The central part of Vancouver is marked by Stanley Park, which stretches over 1000 acres. This is one of the largest urban parks in North America, where you can see the beautiful secluded lakes and excellent landscaped gardens. One of the biggest attractions of Vancouver is located there - the largest Canadian aquarium.